Plantation Shutters Saffron Walden by Just Shutters your local experts. The striking market town of Saffron Walden boasts chocolate box houses from across the eras. Those blessed to enjoy living in this vibrant place will undoubtedly be looking for the style, design and sympathetic touch when it comes to their homes. This is where we believe shutters are the perfect choice. Why shutters – and Why Just Shutters? Shutters are incredibly practical, not least of all because they are low maintenance, have no dangerous cords, do not hold allergens that rough wooden blinds or fabric curtains do. They offer privacy and flexible lighting and shade. Just Shutters have a fabulous reputation and have been in operation since 2006, we have the clout and buying power of a national company but with local business people at the helm in each area, you will always get the very best of the local and personalised approach. 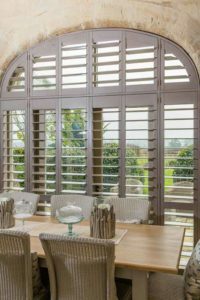 For further information and inspiration, please request a free brochure or book an appointment with our Just Shutters’ Shutter Essex Experts Hayley and Terry Lancaster to see exactly what we can offer you. Please also see Shutters Royston, Shutters Essex, Shutters Hertfordshire and Shutters Cambridge.